Fourteen years in power as the governor of the second most populous province in Pakistan is no small feat. 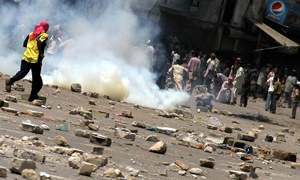 Especially if your jurisdiction includes a city as volatile as Karachi, with its various, competing stakeholders — and especially when you have been affiliated with the Muttahida Qaumi Movement (MQM), a party not enjoying cordial ties with the powers that be. And yet, Sindh Governor Ishratul Ebad has managed to do just that, despite several challenges to his authority over the years. The latest challenge came in the form of former Karachi mayor and now the rabble-rousing head of the Pak Sarzameen Party, Mustafa Kamal. Kamal’s recent outburst, calling Ebad a “criminal”, who has “played with people’s lives and ruined generations”, brought to the fore many of the long-standing allegations that have been haunting the governor for years, including his alleged involvement in various acts of violence and extortion as one of the main leaders of the MQM. Kamal called for Ebad’s arrest and a ban on his travel abroad. The outgoing governor – typically known for keeping a low profile and being a soft-spoken person – roused to hit back, making several appearances on television to counter-attack. Supporters of Ebad see him as a level-headed mediator, who has been able to build bridges and smoothen frequent phases of friction between the MQM and the Pakistan Peoples Party (PPP) and Pakistan Muslim League-Nawaz governments, as well as the MQM and the military establishment over the years. 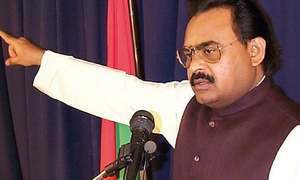 His detractors – including MQM founder and head Altaf Hussain – see him as someone purely motivated by self-interest, a person cunningly kowtowing to the establishment’s diktat for personal gains. Arguably, the truth lies somewhere in between. Ebad has been affiliated with the MQM since his days as a medical student, becoming one of the leaders of the party’s student wing. 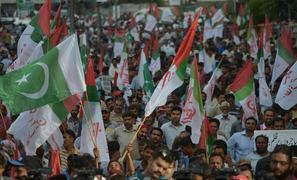 He became a provincial minister in 1990 on a ticket from the MQM-supported Haq Parast group. During the 1992 army operation, he went underground to avoid arrest; he resurfaced a year later in London, where he obtained political asylum. It was also during his time in London that he grew close to the MQM chief. 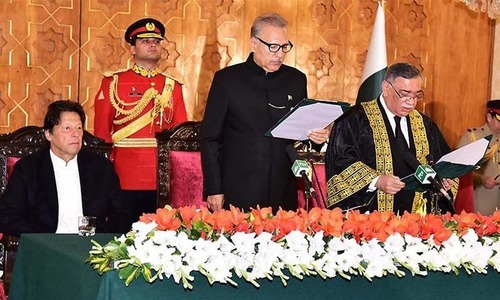 In 2002, when Dr Imran Farooq was sacked as the MQM’s convener, Ebad took over as acting convener — later the same year he was appointed as the governor of Sindh. However, Ebad and Hussain have shared a mercurial relationship in recent years, with the former having to make at least three trips to London to remove the displeasure of the latter. 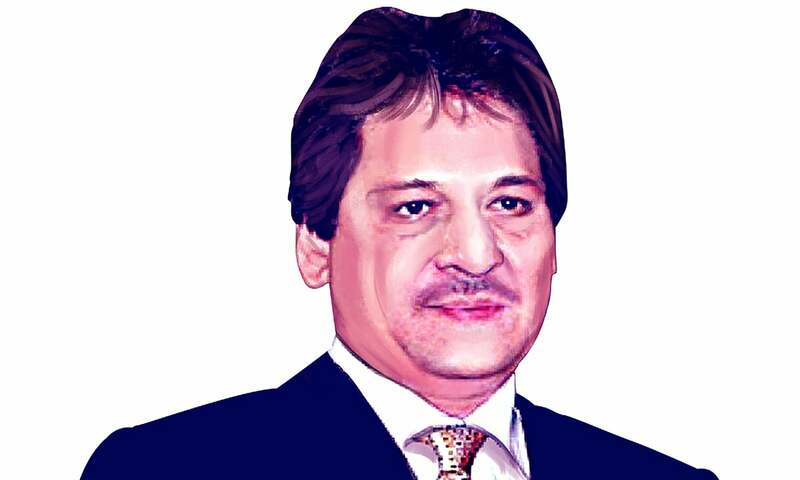 For his part, in statements made last month, Ebad has not denied being “an establishment man”, saying he bade farewell to the MQM way back in 2002, when he was sworn in as governor. The recent rift between Kamal and Ebad is perhaps a reflection of old squabbles – with bigger players looming in the shadows – but it is, more importantly, a reflection of how times are changing. 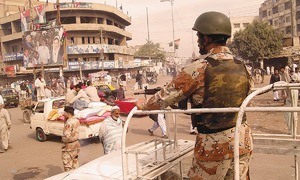 What has not changed, however, is MQM’s constituency in Karachi. In the tussle for influence over Pakistan’s commercial hub, this is something new players and contenders have to concede. How relevant is Ebad to those constituencies? In all the chaos that follows change, what Ebad is still not doing – ostensibly – is openly confronting Hussain, the way his former colleagues, such as Kamal and Farooq Sattar, are. Unlike them, however, he also does not share any popular support amongst the people. Ebad’s style of politics does not make him a populist leader. While the former governor may have entered politics holding MQM’s hand, it seems the party might have to ask for a helping hand from him at times like these — for the sake of its own survival. He, after all, has always enjoyed close ties with the establishment and the only way the party can maintain its supremacy in Karachi is to survive the ongoing onslaught spearheaded by the establishment against it. Ebad’s ouster from the Governor House Sindh may be an indication that even the aforementioned opportunity of reconciling with the establishment is lost to MQM. An earlier version of this article was published in the Herald's November 2016 issue. To read more subscribe to the Herald in print.